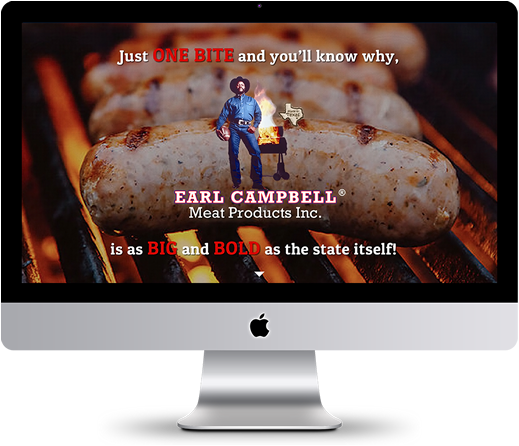 One afternoon, I heard an interview on the radio with Earl Campbell discussing his meat products.I immediately went online to research from my mobile device, I was surprised to see that the website had not been updated in a while. 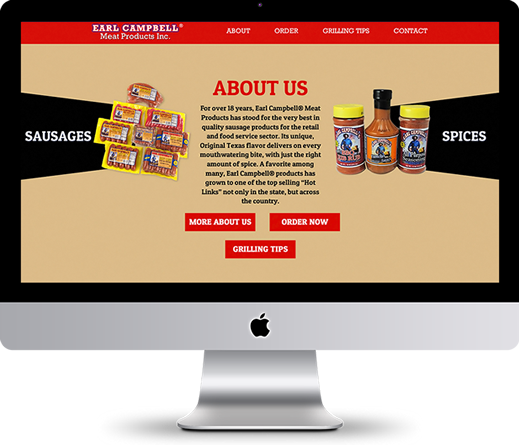 So Me, Myself, and I did some research and put together this re-design of Earl Campbell’s® Meat Products current home page. I tweaked the logo using Illustrator and Photoshop. I searched and utilized stock imagery for the hero banner background, to help add depth so that the logo standouts. Below the menu I took images from the existing site and made a brief About description utilizing the two product categories as call to actions along with three additional call to action buttons. 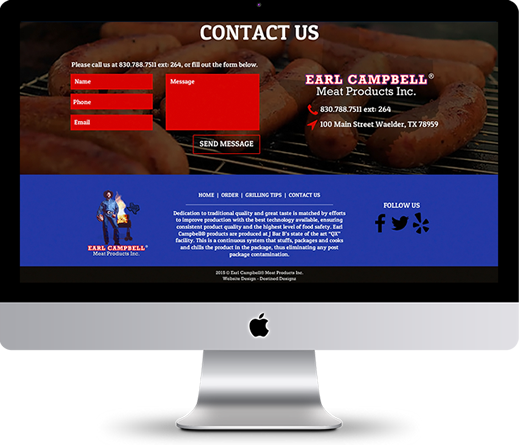 Next is the contact section, a simple contact form and contact info. 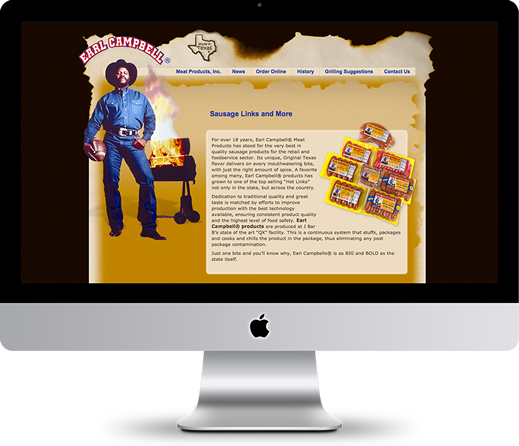 The new footer now contains their social media information that is missing from their current site.